The quick and painless pulse oximetry screening test can help detect whether there is enough oxygen in a newborn baby’s blood. Reasons for lack of oxygen include heart defects as well as problems with lungs, infections or brain function. A baby with a serious condition may be at significant risk of disability or even death if not diagnosed soon after birth. The UK National Screening Committee (UK NSC) supported a pilot in England in order to understand how doing the pulse oximetry screening test on all newborn babies would work in the NHS. This took place from July to December 2015 and was led by myself as pilot project lead, NIPE national programme manager Jill Walker and clinical advisor Professor Andy Ewer. All worked incredibly hard to implement changes required as part of the pilot and their input and enthusiasm was much appreciated. Trusts reported that the pulse oximetry screening test was very well received by parents during the pilot period. During the pilot nearly 33,000 newborn babies were screened. 99.3% of babies screened in the pilot had a normal screening result. The screening test was carried out by midwives, neonatal nurses, hearing screeners, maternity care assistants, nursery nurses and doctors. Most results were recorded on the NIPE SMART IT system. CCHD conditions detected included critical pulmonary stenosis, transposition of the great arteries, hypoplastic left heart syndrome and coarctation of the aorta. In addition, babies with non-cardiac conditions (such as breathing problems or infections) were also detected. The work done in the pilot (and published research) did not enable the committee to form a view whether screening did more good than harm for these babies. As these are the majority of screen positive babies it is important to be sure. This is because a pulse oximetry screening programme would divert NHS staff from their usual activities to look after these screen positive babies. If there is no or little benefit to those babies it would be a waste of resources and might affect care for more needy babies. In discussion with research colleagues the committee decided it would not be possible to do more research but to work with doctors, nurses and parents to understand these issues in more detail. This work is now under way. The UK NSC will consider all the evidence and then make a final recommendation as to whether or not pulse oximetry screening should be offered across the country. We have supplied trusts with data summaries throughout the pilot. We are now working on a more detailed summary report to share with the participating trusts. The pilot screening pathway is available on request from the PHE screening helpdesk. Please can we have a further update on whether the committee is definitely recommending pulse ox is to be used by all to detect CCHD or not. As it is it’s been implemented piece meal and without a definite recommendation and also without a full economic and service evaluation. The UK National Screening Committee decided at its meeting in June 2016 that following the pilot it was important to carefully consider the balance of risks and benefits for the screen positive babies who did not have Critical Congenital Heart Disease (CCHD). 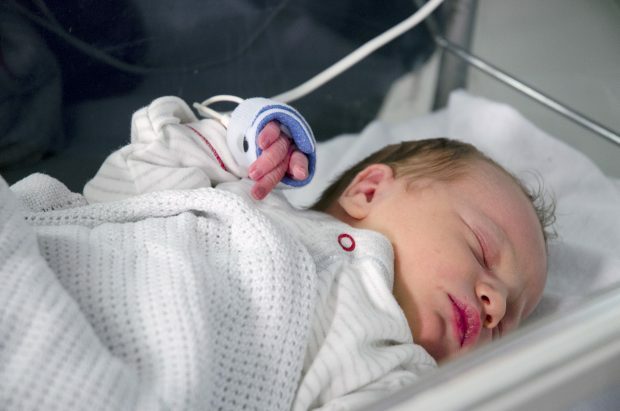 The UK NSC’s opinion was that it could only consider introducing routine newborn pulse oximetry screening after investigating these important issues. Evaluation work has taken place to understand whether these ‘extra screen positive’ babies get more benefit than harm from screening, and to assess the additional impact on NHS services of caring for these babies. In addition, a meeting of clinical experts took place on 22 June 2018 to assess the balance of clinical benefit versus harm for the other conditions (not CCHD) identified as part of the pilot (such as sepsis, congenital pneumonia and transitional circulation). The outcomes of this meeting are now being written up and the UK NSC will then consider all the available evidence and make a recommendation whether or not to roll out newborn pulse oximetry screening across England. It is likely this will be considered at the UK NSC's late 2018/early 2019 meeting but the exact timescale has yet to be set. In the meantime we are releasing the original pulse oximetry pilot screening pathway to any trust interested in using it in the interim. Thank you for your comment. Following the newborn pulse oximetry screening pilot study, an economic evaluation is now under way. Once this work has reported, the UK National Screening Committee will then consider all the additional evidence and make a final recommendation as to whether or not pulse oximetry screening should be offered across England.